Ahhh, Instagram. A place to show off your everyday life, connect with friends, create a blog and even build a business. No matter what your goals are, nobody with an Instagram account wants to remain unknown, to be just another person among hundreds of millions of other accounts. Below you will find 5 inspired ideas that will quickly help you to become more popular on Instagram. Offering discounts, prizes or bonuses for when a user reposts your photo or tags friends in the post is much more interesting for the followers than just running ads, plus it will turn out to be much cheaper for you. That’s why so many Instagram celebrities turn to this marketing tool. While this is a relatively cheap and easy method, ensure that you’re giving out nice things – then you will become more popular with your audience and they will share your posts more actively, eager to receive the prize. A business- or person-specific hashtag is a great way to single your account out of millions of others. But to make the most out of it, turn the hashtag into a brand. Use it on your other websites, social network profiles, and advertisements in both the offline and online world, put it on your products. Make sure that all of your followers associate you with the hashtag. Of course, before doing this you have to check whether the phrase you use is unique to ensure that people who use the hashtag lookup can find you. It is important to find the right balance between two types of hashtags under your photos: those that will help users interested looking for your services to find you and those that will bring a large audience of people to view your posts. A good example of the first type is #constructionwork for a company that offers construction services, the second group is easy: you want to use several popular hashtags, such as #instagood, every time you post. This one can be a lot of work, but it all worth it in the end. There are lots of beautiful photos on Instagram, and tons of interesting content in general. If you just post more of the same as others, you’ll never gain popularity. You want you content to stand out in a unique, unforgettable style. You want each person to know that it is your post before seeing the name of the page that posted it. This will help you to get truly loyal followers who love your style, and these people can bring you more Instagram action. If you are using Instagram for business, changing around your bio is a great way to get tons of people to visit your website or pages on other social networks. Make sure to renew the links up every few weeks, perhaps posting a link to a page with new content every time. Keep it entertaining and people will make a habit out of visiting every new page. 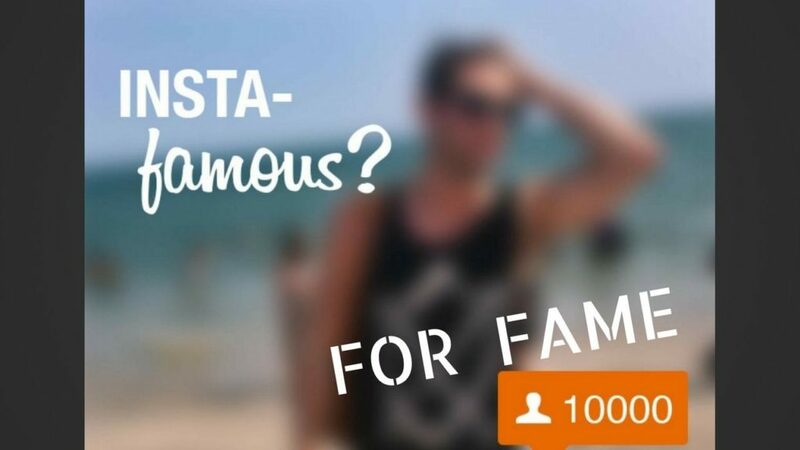 Now you know 5 ways to gain Instagram fame. Use them as an addition to Leogram, and soon you will be the owner of one of the most popular accounts in your area! How to build followers for your business on Instagram?